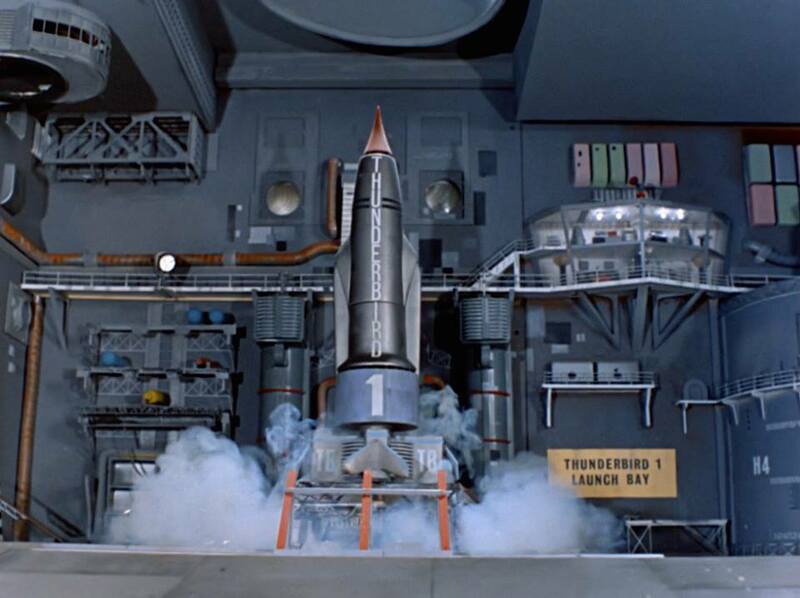 The Gerry Anderson Easter Spectacular! Home Uncategorized The Gerry Anderson Easter Spectacular! There’s no better time to sit back and watch some classic TV shows than during the Easter Holiday weekend. Treat yourself and dig out all of your favourite Gerry Anderson shows. We’ve got some suggestions of what you could watch, but let us know which episodes you’re enjoying over the long weekend in the comments down below. It’s rare for a Gerry Anderson series to do long story arcs, but when they do they’re usually pretty epic. The Captain Scarlet episodes Lunarville 7, Crater 101, and Dangerous Rendezvous form a trilogy which sees Scarlet, Blue and Green journey to the moon to investigate suspicions that a Mysteron complex is being built there. These episodes see Spectrum learn a great deal about the Mysterons and come so close to reaching a point of negotiation to end the war of nerves. It’s an exciting collection of episodes, and they’re great to view back to back. A great film for a relaxed Bank Holiday afternoon. Doppelgänger, aka Journey to the Far Side of the Sun, demonstrates what Gerry and his team were capable of producing for the big screen. 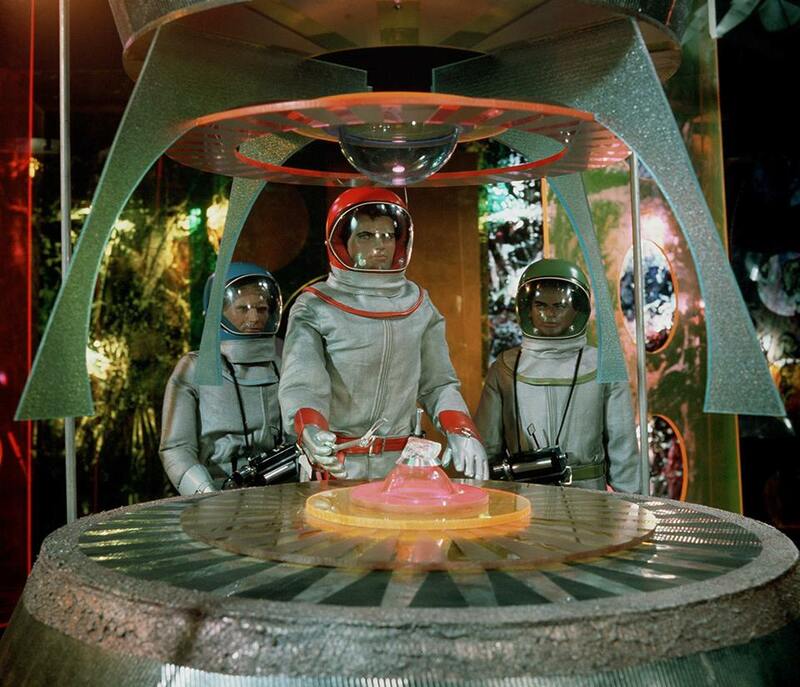 A science fiction tale of epic proportions using live actors and spectacular special effects from Derek Meddings. The film also features a beautiful score from composer Barry Gray. Keep your eye out for actors and vehicles that pop up again in Gerry Anderson’s first live action TV series, UFO. If you’ve never given this series a chance, now is the time to try an episode or two. Lavender Castle is aimed at younger audiences but features some lovely design work from Rodney Matthews and wonderful stop-motion animation. The stories are great fun for the whole family with a few references to other Anderson shows thrown in for long-time fans. Time for something more vintage. On Easter Sunday in 1962, ATV London first showed this episode from the second series of Supercar. In one of Masterspy’s most devious plots of the series, he hires two divers to tap the transatlantic telephone cable so that he can intercept important and confidential business calls, and then sell the information on to his clients. The mission for the Supercar team is simple: follow the transatlantic telephone cable across the ocean until they can find the ship that the culprits are operating from. As this episode was one of the last to be produced, it is a great demonstration of how far the AP Films team had come in terms of making Supercar a sophisticated puppet series. With Derek Meddings joining the production for this second series you can see a great step up in the quality of the model work. It doesn’t really matter which episode. Pick a random disc from your DVD or Blu-ray set, and see what you get to choose from. Maybe revisit an episode you haven’t seen for a while, or go for an old classic like Trapped in the Sky or Terror In New York City. Back in 1966, Easter Sunday fell on April 10th, but the first series of Thunderbirds had just finished on ATV Midlands just before that on March 31st with Security Hazard, so that’s the closest you’ll get to a Thunderbirds Easter special. Those are just a few suggestions from across the Gerry Anderson collection of films and television series. Let us know in the comments below what you’ve watched, or are planning on watching over the course of the Easter Holiday weekend! I've been a Gerry Anderson fan from birth, growing up on the repeats of Thunderbirds, Stingray and Captain Scarlet in the early 2000's. I'm also a fan of Doctor Who and other cult TV series including The Prisoner and Danger Man. I enjoy writing on a range of topics from across the Gerry Anderson back-catalogue from behind the scenes insights to fun and entertaining reviews. In my spare time I'm also a writer and film-maker. Thunderbirds Soundtrack Tops the Charts!